Orbotech Ltd. and its subsidiaries and affiliates (“Orbotech”) respect your privacy and want you to be familiar with how we collect, use and disclose information. We are committed to ensuring that your privacy is protected. Should we ask you to provide certain information by which you can be identified when using our site; you can be assured that it will only be used in accordance with this policy. It is in a layered format so you can click through the specific areas of interest to you. Orbotech Ltd. and its subsidiaries and affiliates (details of which can be found on our website) are controllers under the GDPR. The website provider, who is processing data under instructions from us, is responsible for this website. You have the right to make a complaint about your personal data at any time to the relevant supervisory authority and this link will give you an overview of all national data protection authorities in Europe http://ec.europa.eu/newsroom/article29/item-detail.cfm?item_id=612080. We would, however, appreciate the chance to deal with your concerns before you approach the data protection authority, so please contact us in the first instance. It is important that the personal data we hold about you is accurate and current. Please keep us informed if your personal data changes during your relationship with us. You can inform us of any changes by contacting us using the contact details provided in this policy. Title, name, address (including billing and shipping addresses), telephone number, email address, date of birth and gender. Organization and job title or function. IP address and details of your visits to our website including, but not limited to, traffic data, location data, website logs and other communication data and the resources that you access. IP Address: Your “IP Address” is a number that is automatically assigned to the computer that you are using by your Internet Service Provider (ISP). An IP Address is identified and logged automatically in our server log files whenever a user visits the Website, along with the time and duration of the visit and the page(s) that were visited. Collecting IP Addresses is standard practice on the Internet and is done automatically by many websites. We use IP Addresses for purposes such as calculating website usage levels, helping diagnose server problems, and administering the website. Cookies – a cookie is a small file of letters and numbers that we put on your computer if you agree. These cookies allow us to distinguish you from other users of our website, and helps us provide a better browsing experience when you navigate our website. The cookies we use are "analytical" cookies. They allow us to recognize and count the number of visitors and to see how visitors are using our website, enabling improvements, for example, ensuring that users are finding the information they need. We use traffic log cookies to identify which pages are most popular on our website to help us analyse website page traffic. We only use this information for statistical analysis purposes, after which the data is removed from the system. A cookie in no way gives us access to your computer or any information about you, other than the data you choose to share with us. Information provided by you on message boards, chat, profile pages and blogs, and other services to which you are able to post information and materials. Please note that any information you post or disclose through these services will become public information and may be available to visitors to the website and to the public. We urge you to be very careful when deciding to disclose your personal data, or any other information, on the Website. To enable internal record keeping. To ensure that content from our website is presented in the most effective manner for you and for your computer, including customizing our website according to your interests and preferences. To provide you with information, products or services that you request from us or which we feel may interest you, where you have consented to be contacted for such purposes, including information about new products or special offers. To send you important information regarding the website and changes to our terms, conditions, policies and/or other administrative information. To aid in market research; we may contact you by email, phone, fax or mail. If you are an existing customer, we may contact you by electronic means (e-mail or text/SMS) with information about goods and services similar to those, which were the subject of a previous sale to you. We will not sell, distribute or lease your personal data to third parties, unless we have your permission or are required by law to do so. We may use your personal data to send you promotional information about third parties, which we think you may find interesting, if you tell us that you wish this to happen. We may process your personal data for more than one lawful ground depending on the specific purpose for which we are using your data. The table provided under the heading “legal basis” gives you more information. Please contact us if you need details about the specific legal ground we are relying on. Other companies in the Orbotech Group (acting as controllers, joint controllers or processors). KLA Corporation Orbotech’s parent company under a Data Transfer Agreement. Third-party service providers acting as processors who provide services such as website hosting, data analysis, payment processing, order fulfilment, infrastructure provision, IT services, customer service, email delivery services, payment card processing, auditing services and other similar services to enable them to provide services. Business partners - if you choose to purchase products and services from us that include or require products and services of our business partners (such as integration services), to enable them to provide the applicable products and services. Website email recipients - to identify you to anyone to whom you send messages through the website. Third-party distributors/agents that we ask to follow-up on requests from you. Other third party - in the event of any reorganization, merger, sale, joint venture, assignment, transfer or other disposition of all or any portion of our business, assets or stock (including in connection with any bankruptcy or similar proceedings). Through your browser: Certain information is collected by most browsers, such as your Media Access Control (MAC) address, computer type (Windows or Macintosh), screen resolution, operating system version and Internet browser type and version. We use this information to help ensure that our website functions properly. Usage data: We may use statistical data, analytics, trends and usage information derived from your use of services (“usage data”) through pixel tags and other similar technologies. Usage data includes, for example, aggregated quantitative information about active users, activity, topics, and groups. Aggregated data: Aggregated data does not personally identify you or any other user of the website. For example, we may use aggregated data to calculate the percentage of our users who have a particular telephone area code. Please note that we may use and disclose other information for any purpose, except where we are required to do otherwise under applicable law. In some instances, we may combine other information with personal data (such as combining your name with your geographical location). If we combine any other information with personal data, the combined information will be treated by us as personal data as long as it is combined. We use the services of reputable third parties to provide us with data collection, reporting, ad response measurement, and website site analytics, as well as to assist with the delivery of relevant marketing messages and advertisements. We use reasonable organizational, technical and administrative measures to protect personal data under our control. In addition, we limit access to your personal data to those employees, agents, contractors and other third parties who have a business need to know it. They will only process your personal data on our instructions and they are subject to a duty of confidentiality. We have put in place procedures to deal with any suspected personal data breach. We will notify you and, any applicable regulator, of a breach where we are legally required to do so. No data transmission over the Internet or data storage system is absolutely guaranteed. If you have reason to believe that your interaction with us is no longer secure (for example, if you feel that the security of any account you might have with us has been compromised), please immediately notify us of the problem. Please note that email communications are not always secure, so please do not include financial or sensitive information in your emails to us. Receiving electronic communications from us: if you no longer want to receive marketing-related emails from us on a going-forward basis, you may opt-out by following the instructions contained in the email or by contacting us. Our sharing of your personal data with affiliates for their marketing purposes: if you would prefer that we do not share your personal data with our affiliates for their marketing purposes, you may opt-out of this sharing by contacting us. Our sharing of your personal data with unaffiliated third parties for their marketing purposes: if you would prefer that we do not share your personal data with unaffiliated third parties for their marketing purposes, you may opt-out of this sharing by contacting us. To determine the appropriate retention period for personal data, we consider the amount, nature, and sensitivity of the personal data, the potential risk of harm from unauthorised use or disclosure of your personal data, the purposes for which we process your personal data and whether we can achieve those purposes through other means, within applicable legal requirements. We share your personal data within the Orbotech Group. This involves transferring your data outside the European Economic Area (EEA). We ensure your personal details are protected by requiring all our group companies to follow the same rules when processing your personal data under the GDPR. These rules are contained within an Intragroup Agreement. Where we use certain service providers, we may use specific contracts approved by the European Commission, which give personal data the same protection it has in Europe. For further details, see European Commission: Model contracts for the transfer of personal data to third countries. Where we use providers based in the US, we may transfer data to them if they are part of the Privacy Shield, which requires them to provide similar protection to personal data shared between the Europe and the US. For further details, see European Commission: EU-US Privacy Shield. We ask that you not send us, and you not disclose, any sensitive personal data (e.g., information related to racial or ethnic origin, political opinions, religion or other beliefs, health, criminal background or trade union membership) on or through the website. 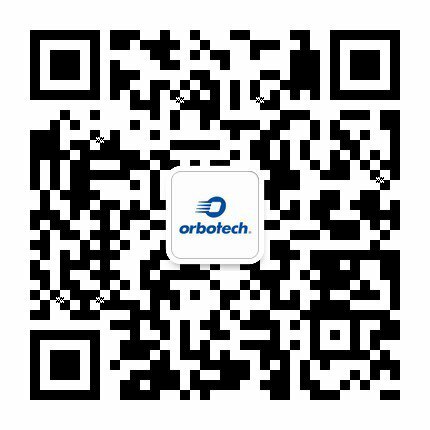 In the course of providing goods and services to our customers, Orbotech may receive information in the form of text, sound, software or image files from our customers and distributors about their own customers (“Customer Information”). Orbotech makes no claim of ownership to Customer Information, which may include personal data. Our customers may collect personal data, and at their request, we may host that data as part of service offerings on our platform. If you are a “data subject” under the GDPR, you have rights in relation to your personal data. Object to processing of your personal data. This is only exercisable where we are relying on a legitimate interest (or those of a third party) and there is something about your particular situation, which makes you want to object to processing on this ground as you feel it affects your fundamental rights and freedoms. You also have the right to object where we are processing your personal data for direct marketing purposes. In some cases, we may demonstrate that we have compelling legitimate grounds to process your information, which override your rights and freedoms. Withdraw consent. Where we are relying on consent to process your personal data. However, this will not affect the lawfulness of any processing carried out before you withdraw your consent. If you withdraw your consent, we may not be able to provide certain products or services to you. We will advise you if this is the case at the time you withdraw your consent. The following table sets out the legal basis on which we may collect, use and retain your personal data. Contract means processing your data where it is necessary for the performance of a contract to which you are a party or to take steps at your request before entering into such a contract. Controller: the person or organisation that determines when, why and how to process Personal Data. It is responsible for establishing practices and policies in line with the GDPR. We are the Data Controller of all Personal Data relating to our Company Personnel and Personal Data used in our business for our own commercial purposes. Personal data: under the GDPR this is any information identifying a Data Subject or information relating to a Data Subject that we can identify (directly or indirectly) from that data alone or in combination with other identifiers we possess or can reasonably access. Personal Data includes Sensitive Personal Data and Pseudonymized Personal Data but excludes anonymous data or data that has had the identity of an individual permanently removed. Pseudonymization or pseudonymized: replacing information that directly or indirectly identifies an individual with one or more artificial identifiers or pseudonyms so that the person, to whom the data relates, cannot be identified without the use of additional information, which is meant to be kept separately and secure.